Kathryn (Katie) Pentico, CPNP-PC, joined our Nashville clinic September 2016. Katie is a Board Certified Pediatric Nurse Practitioner. She studied at Virginia Tech graduating with a B.S. in Biological Sciences before realizing nursing was her true passion. 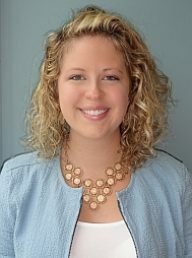 Recognizing nursing perfectly married her love for medicine and caring for children and their families, Katie pursued her BSN from Duke University School of Nursing. Following her graduation from Duke, Katie began working at Duke University Hospital on their Pediatric Progressive Care Unit. Just shy of 2 years later, Katie returned to Duke University School of Nursing to pursue her MSN Pediatric Nurse Practitioner-Primary Care. She graduated from Duke School of Nursing with her MSN in December of 2015 and received membership within the Sigma Theta Tau Honor Society of Nursing. Katie believes in providing individualistic patient and family-centered care. Common childhood illnesses exist, but there is no common child (or family)! Therefore, she is dedicated to providing personalized, evidence-based care for each of her patients and their families. Further, she believes health care is holistic extending far beyond the physical into spiritual, mental, emotional, and environmental needs. Specifically, Katie has a passion for newborn care, asthma, and pediatric mental health. She is also a Certified Asthma Educator. Katie is a member of the National Association of Pediatric Nurse Practitioners and the American Association for Respiratory Care. Outside of the clinic, she enjoys traveling, drinking coffee, being active in her church, watching college football, being anywhere outside, and listening to podcasts all with her wonderful husband!